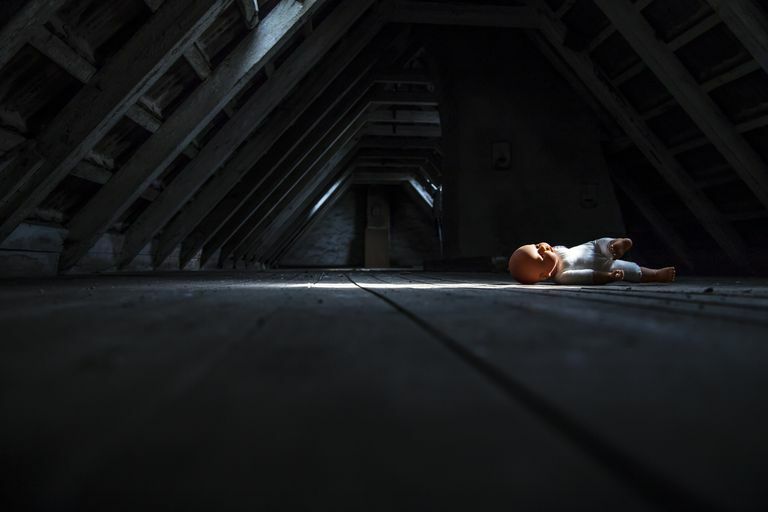 Pediophobia, or the fear of dolls, is relatively common. It is believed to be a type of automatonophobia, or fear of humanoid figures. Some people are afraid of all dolls and stuffed toys, while others fear only a specific type. Dolls that talk or move and old-fashioned china dolls are especially common targets of fear. Many parents want their children, especially little girls, to love dolls. They may become distressed if their child screams or cries when a doll is presented. It is important to keep in mind, though, that small children are just learning to separate fantasy from reality. A doll, which appears to be human but is not, can be terrifying to a child who does not yet understand the concept. Therefore, like most phobias, pediophobia is not diagnosed in children unless it has persisted for more than six months. Of course, if your child’s fear is severe or inconsolable, it is important to ask for the advice of the child’s doctor. The fear of dolls has been heavily exploited in pop culture settings, ranging from movies to Halloween events. In most of these occurrences, the premise is that a seemingly harmless doll has become a sentient being bent on destruction. Whether this happens through magical spells or random chance, the net result is the same: a child’s plaything has become deadly. These films tap a primal fear that may be one of the roots of pediophobia; the fear of the silent killer. In a world filled with threats, ranging from bioterrorism to tainted spinach, it is common to worry that something we cannot recognize as dangerous could lead to our destruction. This is one of the basic fears present in doomsday phobias and exploited in Hollywood films, such as Without Warning. Since pediophobia may be linked to a range of other fears, it is important that only a trained professional attempt to make a diagnosis. Your therapist will ask direct questions that are designed to help you clarify exactly what you fear. You can, however, prepare for your visit by making a list of your specific triggers. Are you afraid of all dolls or only certain types? Have you always been afraid or can you pinpoint when the fear began? Do you have other fears that may or may not be related? Gathering as much information as you can ahead of your visit assist your therapist in making an accurate diagnosis. Pediophobia is easily treatable. Depending on the exact nature of your fear, a range of talk therapy styles may be appropriate. Cognitive-behavioral is the most common for those with a specific phobia, as it is both time-limited and effective. It is not the only choice, though. Another type of therapy that may be helpful is exposure therapy because it helps you get used to the presence of dolls by repeated exposure to them, which can help reduce or get rid of your fear altogether.